Headquartered in Chicago, the client is one of the best farm equipment manufacturing companies in the U.S. that produces a wide range of high quality agricultural equipment and delivers the best customer service to agricultural companies across the world. The increasing number of water disputes and issues in farming industries has created a huge demand for a smart irrigation system that can conserve water. 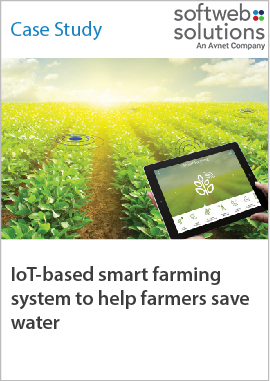 To cater to this demand, the company wanted to develop an IoT-based irrigation system. We built a smart farming solution that can facilitate remote monitoring of soil moisture content, reduction in water usage and automated release and stoppage of water supply as per the moisture content.